I would used "before" there not "till", but maybe that's just me. You guys is so silly. 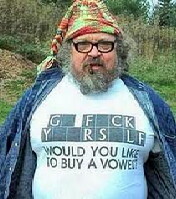 vladimir wrote: woh fckuing craes? Is that a Grammar Nazi in your avatar or what? 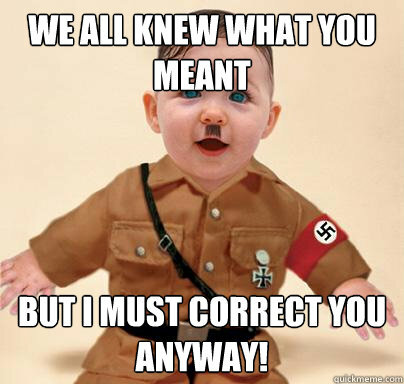 General Mackevili wrote: Is that a Grammar Nazi in your avatar or what? Sent from my oh who gives a damn. Last edited by SockPuppet on Wed May 14, 2014 8:35 am, edited 1 time in total. ^ alrighty then, how do I correct that youtube link?